I had grand plans for Saturday; lot's of productive tasks. I started by washing all three of my motorcycles in preparation for putting one of them into winter storage this weekend. 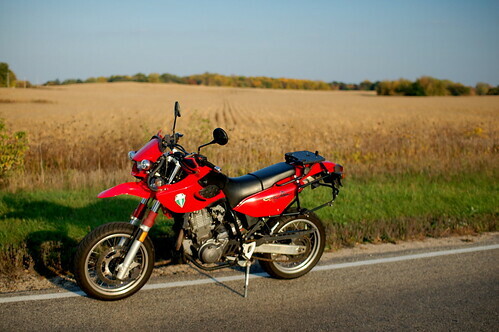 Two need an oil change, and that means going for a ride to warm the oil up (what a great excuse!). Well, taking one of them for a ride proved to be not perfect as it stalled, several times, leaving me thinking I was stranded. It is a kick-start only motorcycle, and my leg is feeling the effects of a hundred or so kicks today. After finally solving that problem and getting back home, I was hot and a bit frustrated so I switched tasks and did a few other things on my self-imposed honey-do list. By mid-afternoon it was time for another ride. 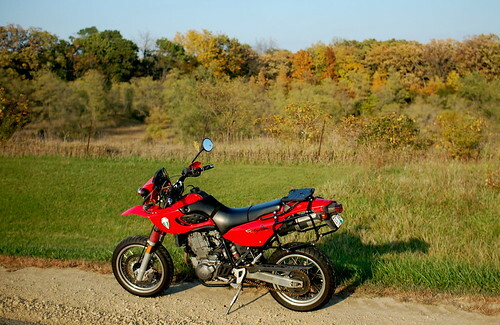 I fired up the MZ Baghira and went blasting around for an hour or so, enjoying the start of fall colors. There's more, so follow the link! I realized that I had not had much in the way of food yet that day, so when my wanderings rolled me into Stoughton, WI, I decided that a cup of coffee and a cookie would be just the ticket. So when I saw the "Koffee Kup" restaurant, I figured that was the place to stop. 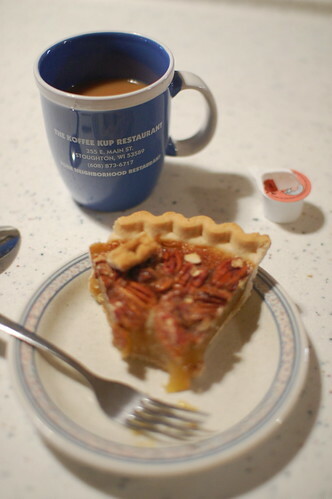 They didn't seem to have cookies, so I forced myself to eat a piece of tasty pecan pie, warmed up just a tad. It was just about perfect. Continuing on my way I simply opted to let the fall colors wash over me. I looked for photo opportunities, but they were less convenient than I was in the mood for, so I contented myself with merely savoring them as I blew by. I returned home safely, dove through the shower, and headed downtown to pick up my lady faire who was at work. 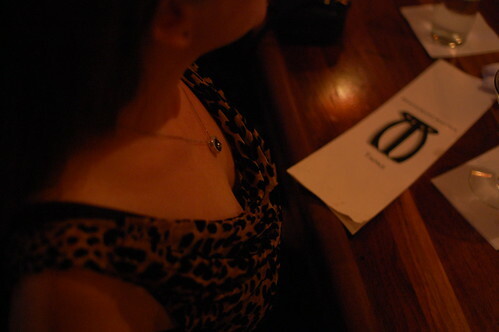 We headed to Restaurant Magnus for a drink and tapas. 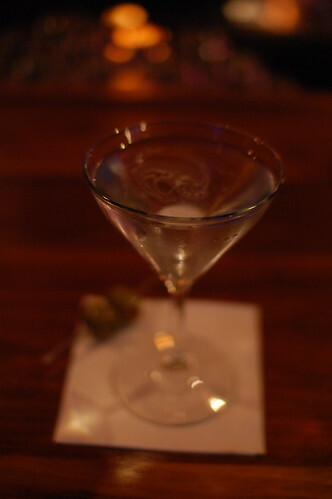 I was delighted to see that they had the new Prairie Organic vodka on hand. It's new to market and made from grains harvested in Minnesota. It was yummy and I can see a bottle of it in my future. Was it the Rogue that kept stalling out on you yesterday? It was kinda nice to see that little green machine out when you passed by the house yesterday. I think I've seen you on it twice this year now, which is easily more than ever before. I highly suspect that an extremely indirect route out to J&M's for gaming this evening is in order. Ha. It was the Rogue. Last time I rode it, it behaved fine. This time it started hard and ran roughly. Once I got home and was able to adjust the air/fuel mixture a bit more precisely it seemed to be fine. Maybe I'll run it to work tomorrow and see how it behaves. I'd rather put it away on a happy note rather than cursing it.